How many tattoos do you have? If only one, do you want more? I only have one, and I’ve always thought I’d get more. I’m a big scuba diver, so I’ve wanted to get a dive flag on my hip….but I kept waiting for my hips to get to that “perfect” size. I need to just do it! 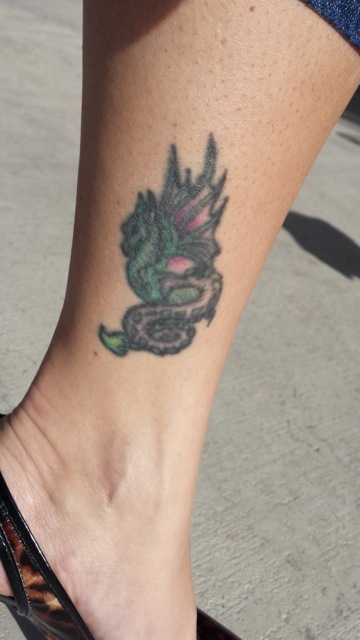 What inspired you to get your first tattoo or favorite tattoo? Tell me your tattoo story. I was very into dragons and I found this wicked image of one. (Fantasy writer, you know 😉 Unfortunately, the parlor I went to had just hired a new artist and instead of getting the guy I wanted, I ended up as this chick’s guinea pig….it’s always looked like a jail tat (nothing against jail tats) but it could have been such a great tat (it looks pretty much nothing like the original image!). Now it’s twenty something years old, and looks awful. I’m secretly hoping someone will hear my story on your blog and want to do a tat makeover *laugh* I learned a very valuable lesson about speaking up for what I want though. Tattoos on a significant other, like or dislike? Explain why? I wouldn’t mind if he had one. Maybe a nice tribal around his arm (how cliche, I know, but so hot). Funnily enough, out of the four married couples we hang out with, all the girls are tatted, but none of the guys. Do the character’s in your books have tattoos? If so, pick a character and tell me his or her tattoo story? Why was this story incorporated in the book? Always! I love ink. Love everything about why someone gets one… Because like you said, there’s always a story. My time traveler, Evy, was a custom bike builder before she started fixing history so she had tats before the story started. Now she gets them at the beginning and end of every history alteration. They mark her time since time no longer has meaning for her. The last one she got was from a tattoo artist in ancient Spain. 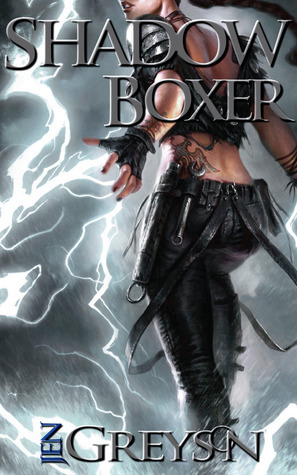 Her newest release, SHADOW BOXER, was featured in the USA TODAY. Jen is also a professional ghost and writes everything from billionaire legacies to romance novellas when she’s not enjoying the wilds of the west via wakeboard or snowmobile. She’s a mama writer, unleashing stories. To learn more about Jen, connect with her on her blog, Twitter, Facebook and on Goodreads. 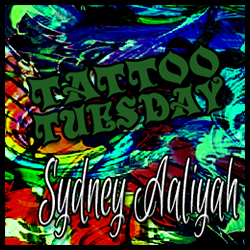 If you have a book coming out or just want to tell your tattoo story and want to be featured on Tattoo Tuesday, let me know by leaving me a message in the comments. Oh, and Sydney, I’d love to tell you about my tattoos. A new book is imminent but doesn’t have a date yet. Thanks so much Annalisa. I would love to hear your story. I will email you. Jen sounds great! I’ve been reading a book that had me thinking of you, Sydney. All the people in it have a tattoo that symbolizes a secret power, and it comes to them when they are sixteen. I’ll have to go find the title and recommend it for you! That sounds cool. Find out and let me know.